Sekiro: Shadows Die Twice is not Dark Souls. I know that’s obvious, and I knew it going in, but I didn’t really know it. I knew it in the way I knew being a parent was going to be difficult, or that you know that cheese that’s been in the back of the fridge is bad. But until that baby is crying for the 6th time at 3 AM or you pop the lid off the Tupperware container and take a whiff, you don’t know. I’m realizing now that I chose difficult and smelly things for my metaphor. 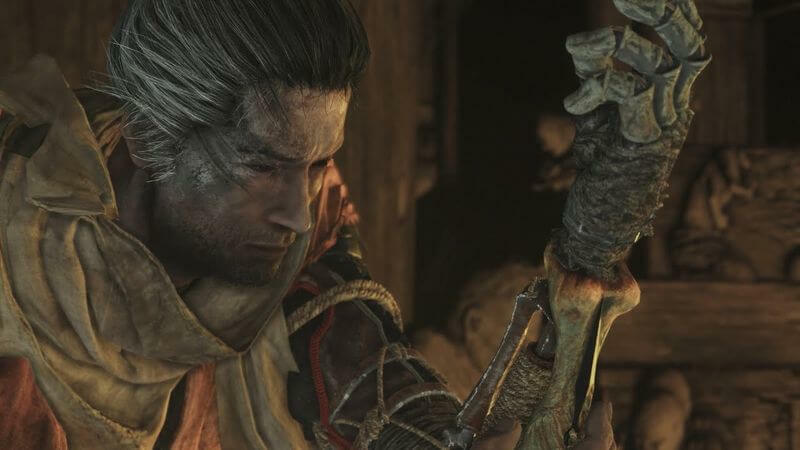 Sekiro: Shadows Die Twice is only one of those things. The reason I want to drill into your head that Sekiro is not Dark Souls is that, if you’re expecting a reskinned version of your old favorite FromSoftware game, you will not enjoy Sekiro. Sekiro: Shadows Die Twice does share some vital DNA with Dark Souls and Bloodborne, but the gameplay is vastly different in a lot of important ways which I’ll expand upon below. In fact, I plan to spend a large part of this review arguing that the ways in which Sekiro improves on previous FromSoftware titles. 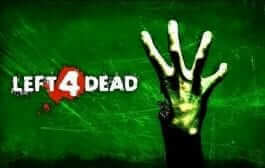 I am giving the game four stars, after all. Sekiro: Shadows Die Twice is the newest title from From Software. If you couldn’t tell from my opening paragraphs, FromSoftware also developed Dark Souls and Bloodborne. These games are famous for their difficulty, intricate levels, and character design. Dark Souls, in particular, allows an immense amount of character development. 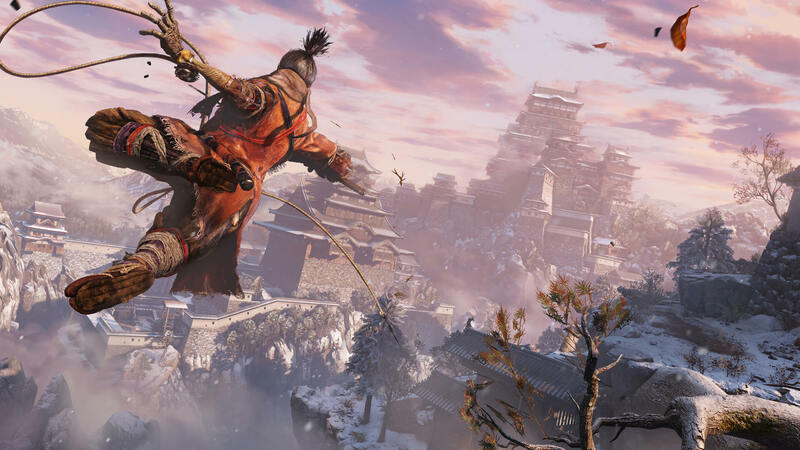 Sekiro is much more linear in its story and restrictive in character development. This is because you are playing an actual character with a specific story. So I’m not arguing this is a step backward for FromSoftware. It is indeed a necessary element of the game they created. Not every game can (or should) be a blank canvas. Sometimes they need to be a coloring book that encourages coloring outside the lines. One of the most important part of Dark Souls/Bloodbourne DNA that survives into Sekiro: Shadows Die Twice is the beautiful, semi-open-world level design. One of my favorite parts of Dark Souls is that, with a few exceptions, you’re never really stuck in a single area. There’s always an alternate path or new area or new boss you can fight to level up your character or provide new weapons or skills. Sekiro: Shadows Die Twice is the same way. If you find yourself only able to access one boss, you’re almost certainly missing something. This type of exploration is even more important in Sekiro where leveling and equipment progression is a more linear affair. I guess I should back up just a bit and explain the plot of the game. This is going to be a bit of a challenge as, like most FromSoftware games, the storyline is shrouded in mystery and open to interpretation. I do have to say that Sekiro definitely seems to have a more defined storyline that unfolds over the course of the game. Sekiro: Shadows Die Twice follows the story of a shinobi (ninja, for the non-otaku of us) who must protect a boy emperor. 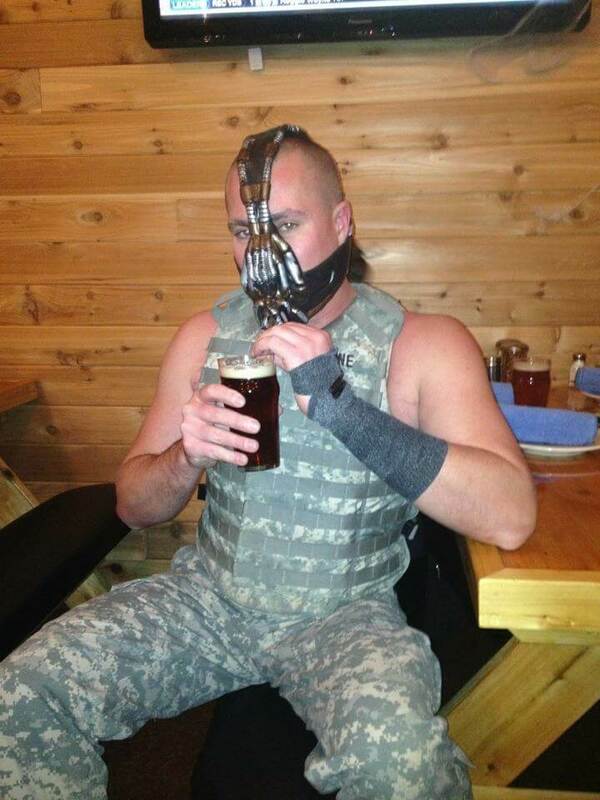 The shinobi is seemingly killed in battle but is resurrected and given a prosthetic arm. 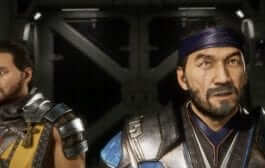 The shinobi then must find out what happened to his old master and protect him. And that’s basically all the plot I can give without venturing into spoiler territory. The prosthetic is a really cool mechanic in Sekiro: Shadows Die Twice. It allows for an enormous amount of movement throughout the world. And it really does make you feel like a Feudal Japanese Spider-Man. The prosthetic also has the Mega Man quality of being able to pick up different abilities. These abilities are interchangeable on the fly and you can keep up to three abilities on hand at all times. So if you need to throw a shuriken at one enemy then light another on fire and then use a heavy ax to destroy a shield, you can do all that without accessing a pause menu. However, if you then have to throw firecrackers to distract the horse of a mounted boss, you can then access your menu and swap out available abilities. These along with the learned skills available allow for an enormous amount of versatility in how you can explore the environment and fight enemies. It’s not just you who is versatile. Your enemies have access to several forms of attack and defense as well. And each attack requires a specific response. If you try to parry a slashing strike with a Mikiri Counter, you very well might die. This means that combat requires a lot of attention, patience, and skill. As unforgiving as the combat is, Sekiro: Shadows Die Twice gets points from this father for allowing the player to pause the game. This can always be tricky to allow as it can easily be abused by a player or slow the game to a crawl (hello Skyrim). Luckily, the people at FromSoftware realized they’re, like, really good at designing games and they don’t need to remove a basic function of gaming to make their product work. 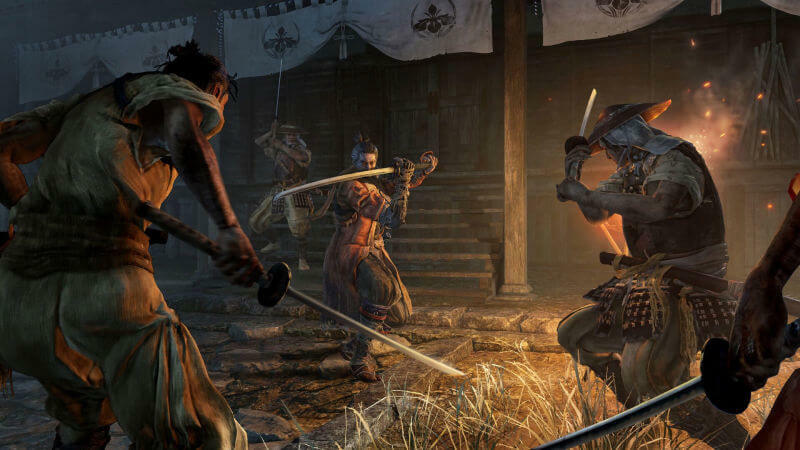 It’s no secret that Sekiro: Shadows Die Twice is a bit of a spiritual remake of the PlayStation 2 game Tenchu. And Sekiro does a–I think–purposeful and excellent job of recreating the feel of a PS2 game. The movement in Sekiro: Shadows Die Twice is light and airy in a way that many modern games–especially FromSoftware games–are not. This adds yet more to the feeling of being a Feudal Spider-Man, which is fitting considering your character is supposed to be a badass ninja. 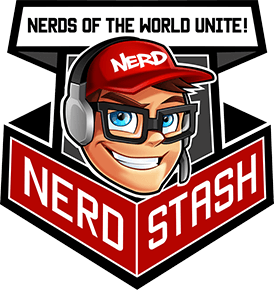 One final thing I’ll say is that I encourage you to seek out a little help when getting started in this game. Here is a link to a good list of must-have skills. And if you’re ever stuck, feel free to look online for alternate paths. FromSoftware builds excellent and intricate worlds in which you should leave no stone unturned. There’s a reason Dark Souls is the only game I’ve ever bought a game guide for. Verdict: FromSoftware knocked it out of the park again. Sekiro: Shadows Die Twice is for sure worth a purchase. I can’t wait to dump 200+ hours exploring its world. This most recent title by FromSoftware follows the story of a fallen shinobi trying to piece together his past and save his master.